We received a lot of e-mails regarding the collapse in diamond prices, which is closely correlating with gold without bank manipulations. This is part of the deflationary trend and the 2011 high was on target for the reaction high. The 37-year target could produce a cycle inversion with a high instead of a low. That would line up with a phase transition in U.S. equities. 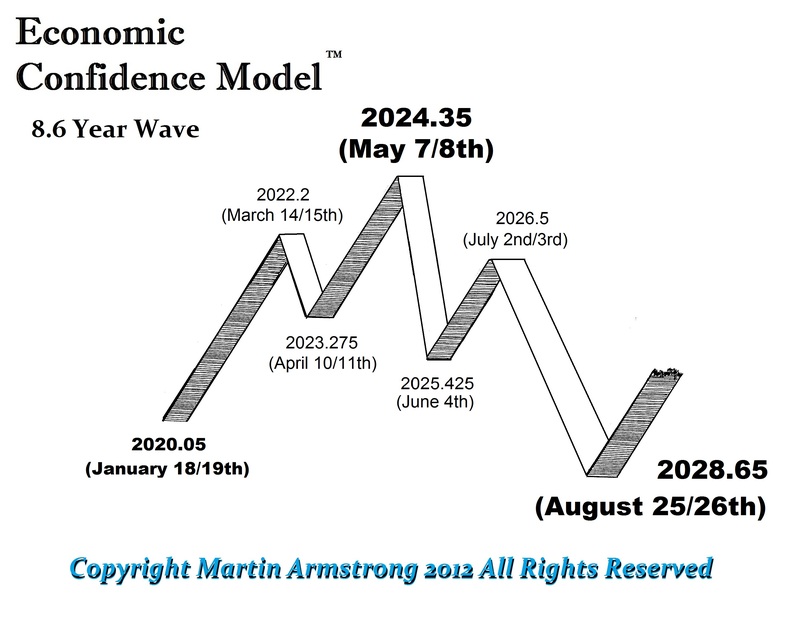 Otherwise, a low going into 2017 would imply a rally thereafter into 2023 during the next wave in the Economic Confidence Model.